Children’s Home Healthcare is a provider of Home Healthcare services. Children’s Home Healthcare provides Home Health to a varied population of clients and patients. Children’s Home Healthcare is a provider of services with several different payer sources and under many different programs. Patient’s in many of the programs are provided those services via Federally-funded medical programs such as Medicaid, CBA, MDCP and other insurance payers. When Children’s Home Healthcare provides services to our patient’s we agree to follow the rules and regulations of the government that apply to these programs. It is the intent of Children’s Home Healthcare to utilize the Ethics and Compliance Program Plan to provide guidance regarding compliance, ethics, and conduct to all employees and contractors of Children’s Home Healthcare. The Ethics and Compliance program contains several parts: The Ethics and Compliance Program Plan and the Code of Conduct. These Policies have been prepared to provide a resource for managers, employees, and contractors of Children’s Home Healthcare. This Ethics and Compliance Program Plan, policies, procedures and concepts apply to all Children’s Home Healthcare employees, associated providers, vendors, and patients. 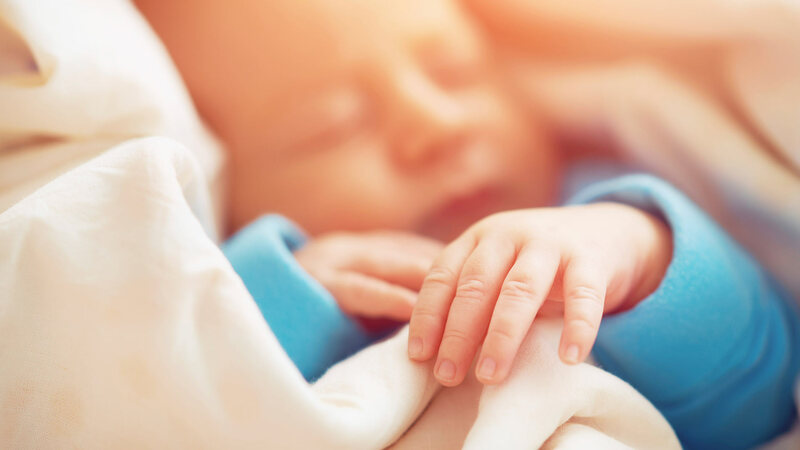 Children’s Home Healthcare has an ongoing commitment to ensuring that its affairs are conducted in accordance with applicable law, standards, and sound ethical business practices. Compliance is challenging because the regulatory requirements are complex and ever changing. To further our commitment to compliance and to protect our employees and patients, Children’s Home Healthcare has developed our Ethics and Compliance Program to make sure we address those regulatory issues and standards likely to be of most consequence to our operations and patient care. Each of us are personally accountable for our individual decisions and actions. We must all follow a course of conduct that preserves and enhances Children’s Home Healthcare’s reputation of honesty and integrity. It is critical that we understand the laws, company policies, and contractual obligations that apply to our specific area of service. We should never misuse our authority, whether for personal interests or to the detriment of Children’s Home Healthcare. To establish a culture that promotes prevention, detection, and resolution of instances of conduct that do not conform to laws, standards, and ethical business practices. To communicate and demonstrate the corporate commitment to compliance. To establish monitoring and benchmarks that will ingrain compliance as part of the woven fabric of Children’s Home Healthcare. To guide management and employees in efficient management and operations. To provide ethical leadership and install systems to facilitate ethical and legal conduct. To improve the quality of care for our patients. To provide information, guidance, and education regarding ethics, regulatory requirement, and standard of practice. Written practice and ethical standards promoting and ethical culture; policies, and procedures. Director of Corporate Ethics and Compliance. Ethics and Compliance Committee responsible for implementing and maintaining the Program who report to the President and the Board of Directors. Reporting channels to field questions, concerns, and to report complaints; anonymously if preferred, and without fear of retaliation. These mechanisms include a hotline, e-mails, and voicemail. Participants who report concerns or complaints shall be protected from any and all retaliation. The Children’s Home Healthcare Ethics and Compliance Program as described in the document is intended to establish a pattern for legal compliance by our Owners, Managers, employees, providers, vendors and patients. It is not intended to set forth all of the programs, policies and practices of Children’s Home Healthcare that are set up to maintain compliance. Children’s Home Healthcare already maintains compliance practices and those practices continue to be a part of the Company’s overall compliance efforts. This Plan shall apply to Federal and State regulations (as applicable) , Clinical Standards of Practice, Coding Rules, Accounting and Billing standards, Fair Labor Laws, Legal concepts, and good judgment of daily business practices. Review and amend the Ethics and Compliance Program Plan. Develop methods to ensure that Children’s Home Healthcare employees are aware of and understand the Ethics and Compliance Program Plan, the Code of conduct, Policies, and standards. Assist in developing and delivering educational and training programs. Formulate appropriate policies to guide billing. Work with the Board and Executive Management to develop plans for implementing Children’s Home Healthcare policies. Coordinate audits of medical charts and associated billing. Investigate instances of suspected compliance issues and develop appropriate corrective actions. Prepare and Annual Ethics and Compliance Review and prepare proposed revisions to the Ethics and Compliance Program Plan. Provide other assistance as directed by the Board and the Executive Management team. Serving as an appeals mechanism for alleged compliance issues. Defining Children’s Home Healthcare ethics and compliance policies and recommending changes to the bylaws as necessary. Standardizing ethics and compliance policies across the organization. Enforce or recommend action for policy violations. Developing the mechanism for measuring the effectiveness of specific ethics and compliance initiatives. Approving the audit methodology of the Ethics and Compliance program. The Committee will meet quarterly at a minimum and provide ongoing assistance in the development of policies and procedures, the identification of risk areas, and suggestions for the continuous improvement of the Ethics and Compliance Program. Children’s Home Healthcare has adopted a Code of Conduct to guide all employees in their business activities. This Code reflects common sense and ethical behavior. Principle: All claims shall be submitted accurately and the submission of false claims shall be avoided. The policy of Children’s Home Healthcare is to bill only for services actually provided. Children’s Home Healthcare realizes that certain special billing requirements may apply to some government-sponsored programs or to other providers; any such requirements must be followed. In selecting codes to describe services rendered healthcare professionals, and billing personnel are to select codes that they believe. in good faith, correspond to services actually rendered, as documented in the medical record. Children’s Home Healthcare health professionals, and billing personnel have a collective responsibility to be knowledgeable about the meaning of the codes applicable to their area of practice, including relevant directives from billing authorities. Children’s Home Healthcare recognizes the importance of maintaining accurate patient accounts in accordance with applicable requirements. Children’s Home Healthcare professionals and billing personnel should never submit an invoice or a claim that is known to contain inaccurate information concerning the service provided, the charges, the identity of the provider, the date of service, the place of service, or the identity of the patient. Payments that are received in error will be refunded. When in doubt about how to bill a particular service, including the proper code to use, no claim should be submitted until appropriate guidance is obtained from Compliance leaders. The resolution of any such billing questions should be documented in writing. It is the responsibility of the Children’s Home Healthcare health professional to ensure that appropriate documentation supports the bill being submitted. The Director of Ethics and Compliance shall be responsible for ensuring that Children’s Home Healthcare policies are disseminated to all locations. This will be accomplished via e-mail, Website, and US Mail. It will be the responsibility of the Agency Administrators and Supervising Nurses to ensure that the employees implement and demonstrate an understanding of these policies. All training materials directed to billing or other regulatory compliance issues will be submitted to the Director of Ethics and Compliance for review prior to distribution. All personnel up to and including the Board of Directors are required to participate in training about compliance issues. Methodologies for the dissemination of information include, but are not limited to: bulletins, professional education, memos, audio and videotapes, lectures at meetings, corporate meetings and applicable articles of interest. Children’s Home Healthcare shall be vigilant in its efforts to recognize and prevent fraud, which is simply defined as possessing knowledge with the willful intent to deceive. Kickbacks that the OIG has uncovered. In the early 2000s, June Gibbs Brown, HHS Inspector General, directed regulators to refocus their efforts on assisting providers to achieve compliance. Helping providers achieve compliance is a paradigm shift in philosophy. It is philosophy that we are all in this together to deliver excellent care, meet requirements, and prevent fraud and abuse. Those of us in healthcare are called to higher duties than employees in other industries. First, we take care of patients. Second, we have the ability to detect and prevent fraud and abuse. The Ethics and Compliance Director/Committee will participate in training employees in prevent of Fraud, Abuse, and Waste. Under the direction of the Ethics and Compliance Director/Committee, an audit of medical records, personnel files, corresponding bills, and other documents along with patient and employee interviews shall be conducted periodically and reviewed for compliance. These audits and interviews will be conducted at least annually. The Agency may, after consultation with legal counsel, engage external compliance experts to review records. If any of these reviews identify billing issues or irregularities, the Director of Ethics and Compliance shall report to the Compliance Committee and proceed accordingly. The Ethics and Compliance Director/Committee shall quantify and analyze audit data and then benchmark and report the findings. It shall make recommendations to improve compliance, quality, business efficiency, and effectiveness. As a general matter, questions should be presented initially to your supervisor. The training materials will inform employees that they may report concerns or any activity that they believe to be inconsistent with Agency policies, the Code, or legal requirements directly to the Director of Ethics and Compliance, to the hotline, to a designated e-mail address, or via first class mail. The materials will explain how to report violations and how to contact the Director of Ethics and Compliance and the Compliance Committee. Employees, who in good faith report possible compliance issues, should not be subjected to retaliation or harassment as a result of the report. All concerns about possible retaliation or harassment should be reported to the Ethics and Compliance Director/Committee. The Committee shall maintain a record of each submission, including the date of the acknowledgement and actions taken. The Director of Ethics and Compliance will review all submissions received and will determine along with the Committee, as appropriate, all means of investigating and addressing any submissions. All Submissions will remain confidential as necessary under the circumstances. Children’s Home Healthcare has established a hotline for reporting Code of Conduct, compliance, legal, or ethical concerns or violations. The hotline will be available 24 hours per day, 7 days a week. The Director of Ethics and Compliance will ensure that training and educational materials include information on how the hotline can be accessed. If you submit a concern, complaint, or violation with your contact information, the Director of Ethics and Compliance or a member of the Committee will follow-up with you. If you submit a concern, complaint, or violation without your contact information, the Director of Ethics and Compliance or a member of the Committee will investigate to the fullest extent possible, given the information provided. If the submission provided to the hotline contains insufficient information to permit a meaningful investigation, the log will contain an explanation as to why no investigation was undertaken. Again any retaliation against an employee who, in good faith reports a suspected violation is prohibited. Please report any retaliation claims to the Ethics and Compliance Director/Committee. Whenever conduct inconsistent with Children’s Home Healthcare policies and procedures, or applicable laws, rules , and regulations is reported, the Director of Ethics and Compliance along with the Committee will determine if there is reasonable cause to believe that a material compliance issue may exist. Responsibility for conducting the review will be decided on a case-by-case basis by the Director of Ethics and Compliance and the Committee as appropriate. The results of the inquiry will be confidential and made available to the Committee and their advisors, as necessary. Children’s Home Healthcare employees shall cooperate fully with any inquiries and investigations. To the most practical and appropriate extent, efforts should be made to maintain the confidentiality of such inquiries and the information gathered. Whenever a compliance issue has been identified, the Director of Ethics and Compliance shall have the responsibility and authority to take or direct appropriate action to address that issue. In developing a corrective action plan, the Director of Ethics and Compliance may obtain guidance from the Committee, legal Counsel, or other personnel as necessary. All corrective action plans shall be set forth in writing and conveyed to the Ethics and Compliance Committee. Corrective clinical, billing, or business related action, should be designed to ensure not only that the specific issue is addressed but also that similar problems do not occur in other areas or departments. For example, corrective action may require that billing is handled in a designated way, that billing responsibility is reassigned, that certain training take place, restrictions are imposed on billing by health professionals, repayment is made, or that the matter is disclosed externally. If it appears that certain individuals have engaged in practices that raise compliance concerns, the corrective action plan should identify actions that will be taken to limit non-compliant outcomes. Corrective action may include recommendations that a sanction or disciplinary action is imposed. Moreover, if the Director of Ethics and Compliance believes that any non-compliance has been willful, that belief, and the basis for it, should be reported to the Ethics and Compliance Committee. Employees and agents who have engaged in willful misconduct will be subject to disciplinary action up to and including termination. I have received a copy of the Children’s Home Healthcare Compliance Program Plan, and have read, understand, and agree to abide by its terms and conditions. I understand that all employees of Children’s Home Healthcare, including me, are expected to abide by the Compliance Program Plan. My adherence to the Ethics and Compliance Plan is not a guarantee of my employment with Children’s Home Healthcare, the terms and conditions of which remain governed by the Children’s Home Healthcare Employee Handbook, with I have received a copy of. I understand my responsibility to report questions or concerns regarding compliance with law, regulations, contract provisions, or Children’s Home healthcare policies to the Ethics and Compliance Director/Committee. I understand that there will be no retaliation for raising a compliance issue in good faith. I understand that any violation of the Ethics and Compliance Program Plan, including my failure to report a violation thereof, may result in corrective action and/or disciplinary action up to and including termination. I understand that my failure to cooperate in a compliance investigation can be grounds for termination.